Our inherent nature, I believe, is "to do good". Here are some Proverbs about goodness that will help guide our path to do just that! Do not withhold good from those to whom it is due, When it is in the power of your hand to do so (Proverbs 3:27 NKJV). For I give you good doctrine: Do not forsake my law (Proverbs 4:2 NKJV). The merciful man does good for his own soul, But he who is cruel cruel troubles his own flesh (Proverbs 11:17 NKJV). The desire of the righteous ends only in good, the expectation of the wicked in wrath (Proverbs 11:23 ESV). 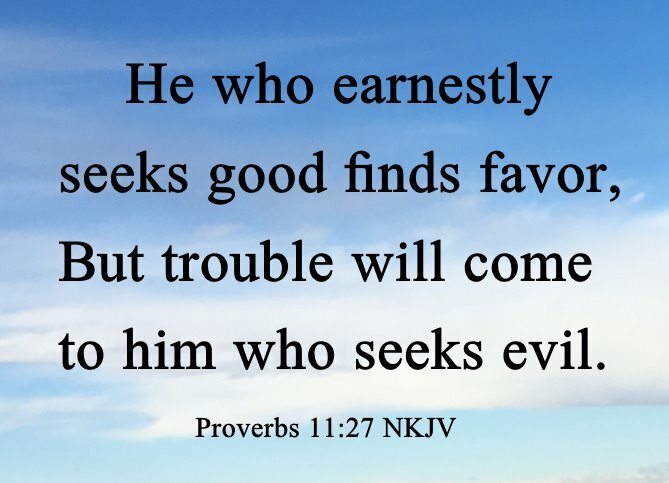 He who earnestly seeks good finds favor, But trouble will come to him who seeks evil (Proverbs 11:27 NKJV). A good man obtains favor from the Lord, But a man of wicked intentions He will condemn (Proverbs 12:2 NKJV). Anxiety in the heart of man causes depression, But a good word makes it glad (Proverbs 12:25 NKJV) . Good understanding gains favor, But the way of the unfaithful is hard (Proverbs 13:15 NKJV). Disaster pursues sinners, but the righteous are rewarded with good (Proverbs 13:21 ESV). The backslider in heart will be filled with the fruit of his ways, and a good man will be filled with the fruit of his ways (Proverbs 14:14 ESV). The evil will bow before the good, And the wicked at the gates of the righteous (Proverbs 14:19 NKJV). Do they not go astray who devise evil? But mercy and truth belong to those who devise good (Proverbs 14:22 NKJV). To make an apt answer is a joy to a man, and a word in season, how good it is (Proverbs 15:23 ESV). A cheerful look brings joy to the heart; good news makes for good health (Proverbs 15:30 NLT). He that handleth a matter wisely shall find good: and whoso trusteth in the LORD, happy is he (Proverbs 16:20). A man of crooked heart does not discover good, and one with a dishonest tongue falls into calamity (Proverbs 17:20 ESV). A joyful heart is good medicine, but a crushed spirit dries up the bones (Proverbs 17:22 ESV). 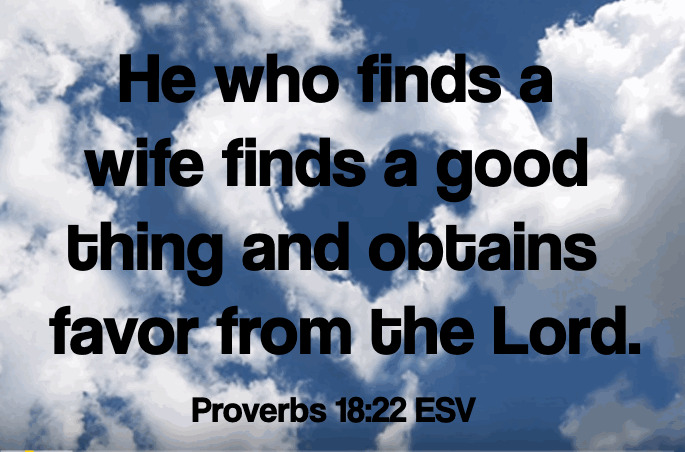 He who finds a wife finds a good thing and obtains favor from the Lord (Proverbs 18:22 ESV). Also it is not good for a soul to be without knowledge, And he sins who hastens with his feet (Proverbs 19:2 NKJV). He who gets wisdom loves his own soul; He who keeps understanding will find good (Proverbs 19:8 NKJV). Most men will proclaim each his own goodness, But who can find a faithful man (Proverbs 20:6 NKJV)? Choose a good reputation over great riches; being held in high esteem is better than silver or gold (Proverbs 22:1 NLT). But those who rebuke the wicked will have delight, And a good blessing will come upon them (Proverbs 24:25 NKJV). Those who lead good people along an evil path will fall into their own trap, but the honest will inherit good things (Proverbs 28:10 NLT). To show partiality is not good, but for a piece of bread a man will do wrong (Proverbs 28:21 ESV).